Back pullout facility permits removal of motor, support frame, stub shaft along with impeller without distributing the casing and piping. Interchangeability – major components like pump casing (with feet), impeller, casing cover, etc. are interchangeable with popular WN+ series frames. Modular component design across the range minimizes spares holding of shaft, seals and wear rings. 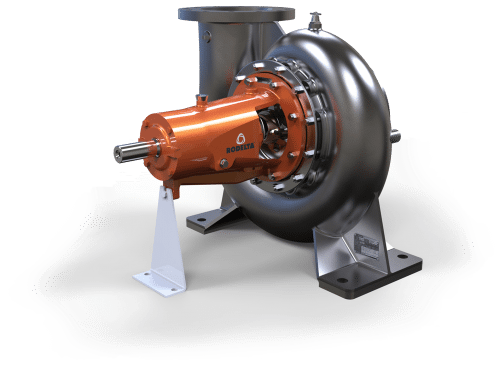 All standard pumps are fitted with high efficiency shell moulded impellers. TEFC motors fitted as standard. Other motor options available. Compact WNC+ pump sets offer the advantage of space saving and elimination of need a base plate, coupling and coupling guards. Apart from the elimination of bearing support arrangement in pumps. Pump casing had axial suction and top center-line delivery suction and delivery nozzles are integral with casing. Impellers are enclosed type. The hydraulic thrust is balanced either by back vanes or through balancing holes and back vanes. A special designed stub shaft is used to connect the pump with standard motor with greater ease. WNC+ pumps are supplied along with mechanical seal arrangement as a standard source of supply. Mechanical seal will be as per DIN24960 standard dimensions. 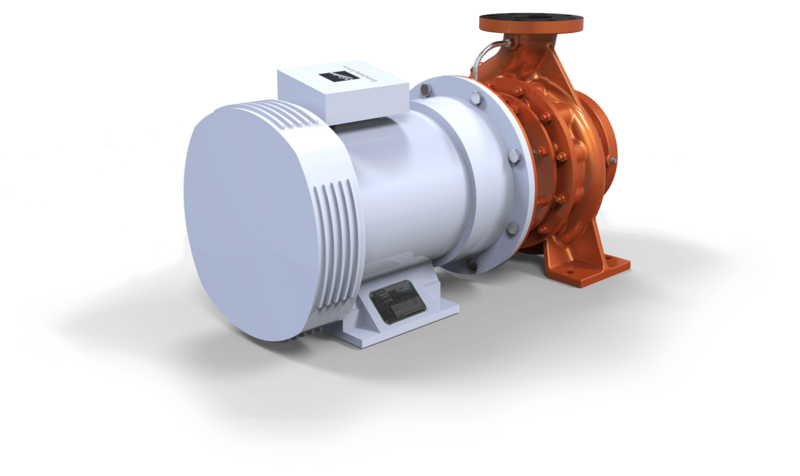 Two sizes of mechanical seals cover the entire range of WNC+ pumps sets. Direction of rotating will be clockwise when seen from motor side. Pump casing flanges are drilled as per BSEN: 1092-2 (old 2533ND) plain face. Flange drilling can also be given as ASA, BS, IS standards.